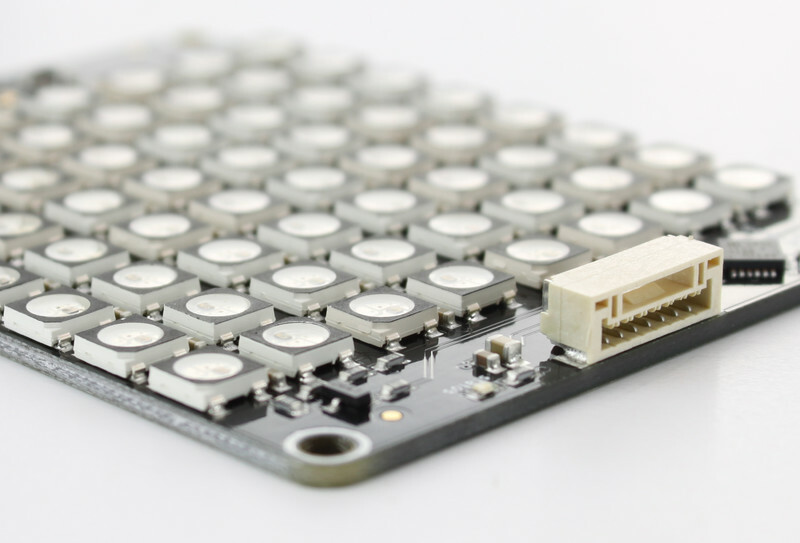 The RGB LED Matrix Bricklet is discontinued and is no longer sold. 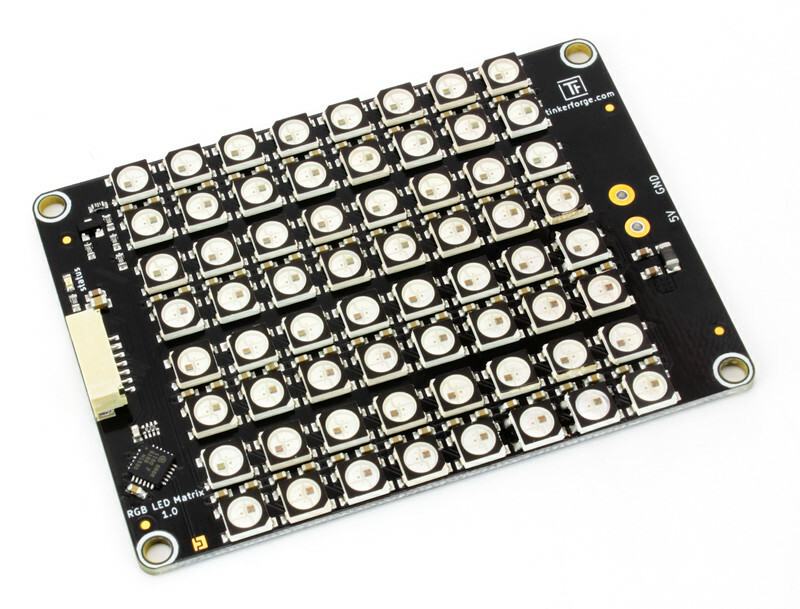 The RGB LED Matrix Bricklet is equipped with a 8x8 RGB LED matrix. It can extend Bricks. The red, green and blue value of each LED can be individually controlled with a resolution of 8 bit. A frame rate of 120 Hz can be achieved. Frames can be send with a fixed frame rate to achieve smooth animations. They are double buffered to increase performance and avoid flicker. The Bricklet is equipped with a 15cm cable, which has to be connected to an external 5V power supply. 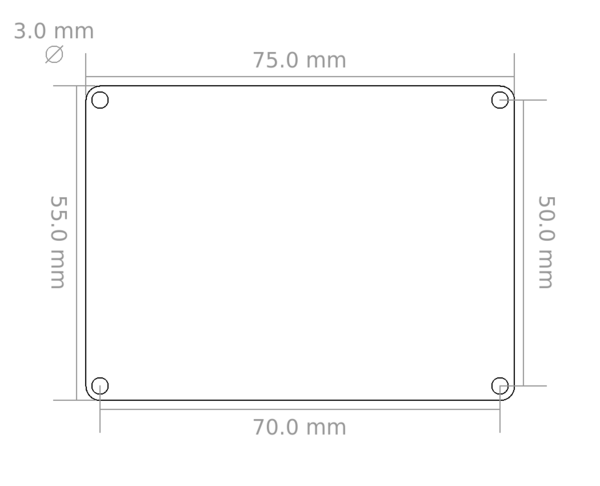 The LEDs can not be powered through the Bricklet connector. 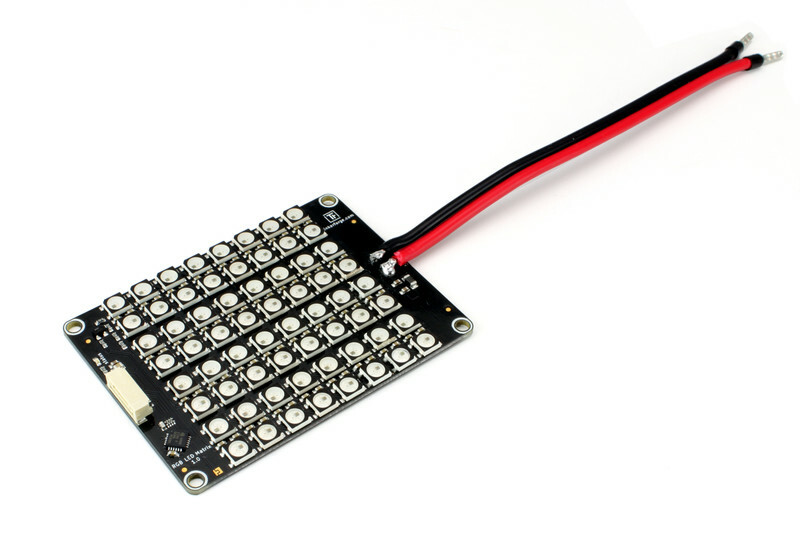 The RGB LED Matrix Bricklet has a 7 pole Bricklet connector and is connected to a Brick with a 7p-10p Bricklet cable. 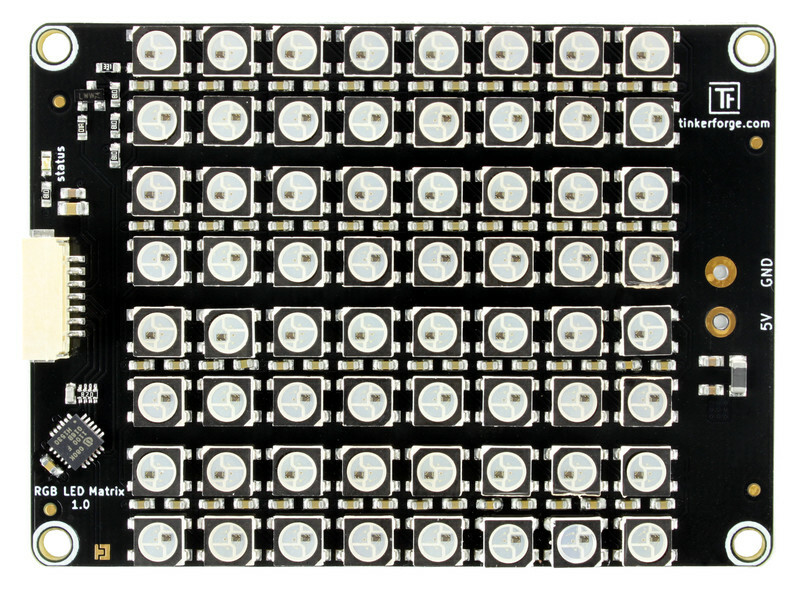 Max Input Current Each RGB LED can pull up to 20mA per color, this results in 3.83A if all LEDs are set to white. 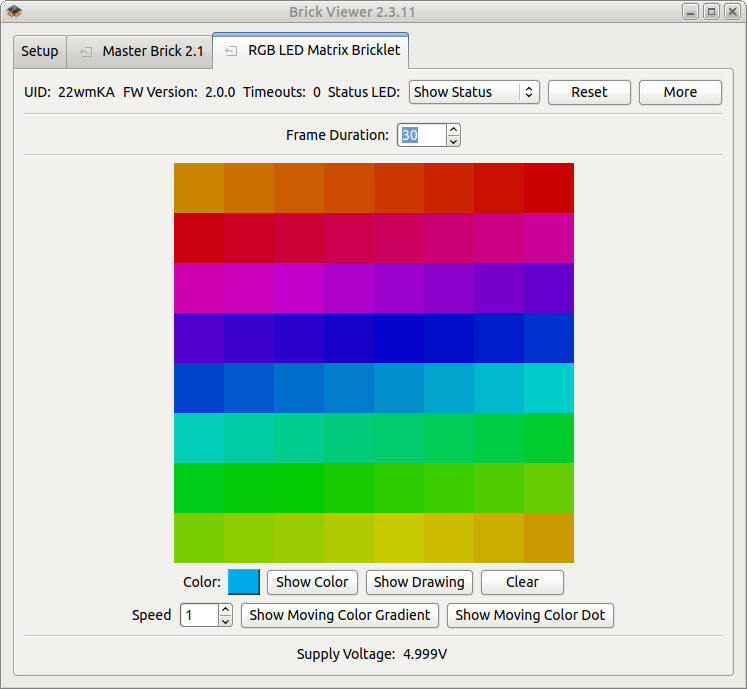 To test a RGB LED Matrix Bricklet you need to have Brick Daemon and Brick Viewer installed. Brick Daemon acts as a proxy between the USB interface of the Bricks and the API bindings. Brick Viewer connects to Brick Daemon. It helps to figure out basic information about the connected Bricks and Bricklets and allows to test them. 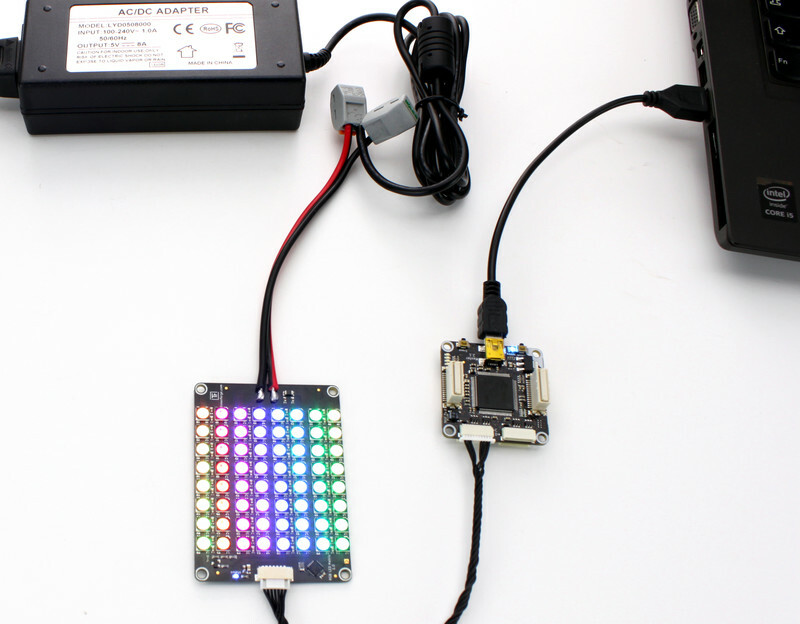 Connect the RGB LED Matrix Bricklet to a Brick with a Bricklet Cable and a 5V power supply to the RGB LED Matrix Bricklet terminal blocks. If you connect the Brick to the PC over USB, you should see a new tab named "RGB LED Matrix Bricklet" in the Brick Viewer after a moment. Select this tab. 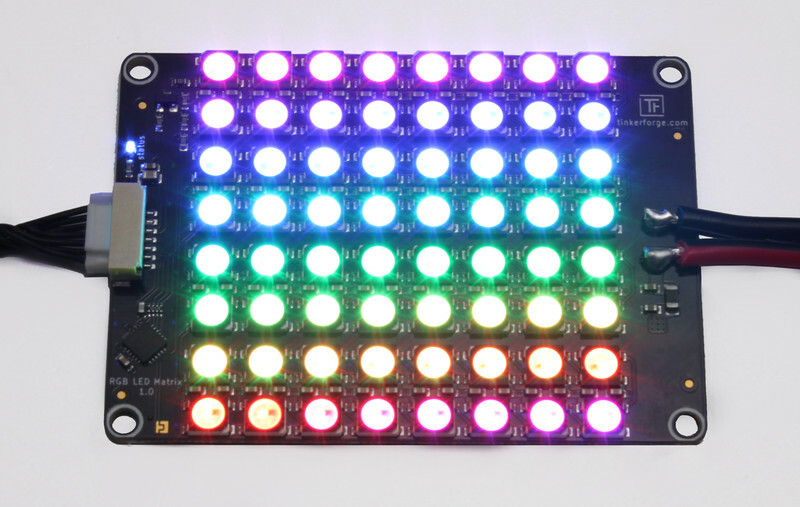 If everything went as expected you can now control the RGB LED Matrix. After this test you can go on with writing your own application. See the Programming Interface section for the API of the RGB LED Matrix Bricklet and examples in different programming languages.